Nothin’ But! 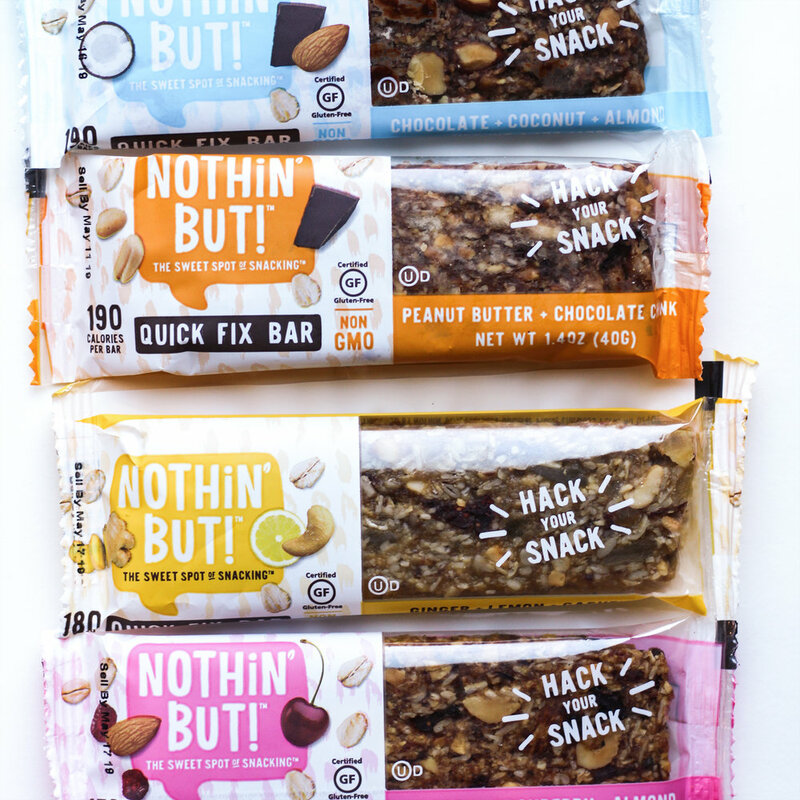 the Good Stuff - Quick Fix Bars! — OK, I'll Give You My Opinion! I’m always on the hunt for healthy snacks and little indulgences for me and my boys. As much as I would love to be one of those Pinterest moms and make all my family’s meals and snacks, it’s just not going down these days. We’re also in the process of moving, so these days there's been a lot of grabbing and going. They’re minimally processed with no fillers, no artificial sweeteners, and to quote them "no bozo ingredients!" These qualities in a brand are so soooo so important to me when it comes to feeding my family. I admit, I may watch too many food documentaries on Netflix, but I rather be safe than sorry!! They're ooey gooey and delicious! The texture is firm, but chewy, not crunchy. You can taste every single ingredient, and they're perfect for a sweet fix. I have to say it again, the ginger + lemon + cashew is out of this world good. They taste like these mini key lime pies with a cashew crust I'm obsessed with from one of my favorite cafes! The textures from the chewy crystalized ginger, the crunch from the cashews, and the tartness from the lemon makes for a delicious snack or even dessert! They are all under 200 calories, and they're filling guys! My boys love all the flavors, and they don't even know they're good for them too! So they're mom and kid approved! !